Mosquitos are more than a nuisance, they are a major health risk. 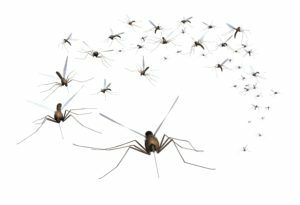 Mosquitoes carry diseases such as West Nile virus, malaria, and heartworms in animals, just to name a few. Mosquitoes normally feed within 100 feet of where they breed. Our team will treat the perimeter of your home and property, as well as eliminate breeding and harboring areas.